CenterPoint Energy has signed a long-term agreement to gather crude oil production for Exxon's XTO Energy subsidiary in Dunn and McKenzie counties. 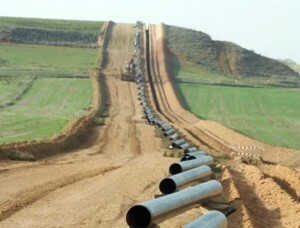 The system will include a 14-mile, 8-inch mainline, with 3-inch to 6-inch gathering lines. Total design capacity will be 19,500 b/d. The gathering system will deliver oil to Great Northern Gathering and Marketing's Watford Terminal. The volume committed by XTO was not released, but operators were required to commit 5,000 b/d or more to receive the best rates. "We are extremely pleased to provide long-term crude oil gathering services for such an outstanding producer, and we appreciate the confidence they have placed in our current and expanding capabilities," said C. Gregory Harper, SVP and President of CenterPoint Energy's Midstream business. "Our excellent track record of developing gathering systems on time and on budget continues to provide us with opportunities, and positions us to execute our strategy of expanding into liquids-rich basins."